Dan Scott, OBE, was appointed as Chairman of the JLSC in accordance with section 105(1)(a). 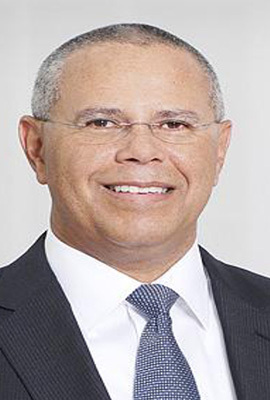 Dan Scott is the Regional Managing Partner and Asset Management Sector Leader for the Bahamas, Bermuda and Cayman Islands region of Ernst & Young's Financial Services Office. He is also a member of the Ernst & Young Global Hedge Fund Steering Committee, which provides strategic direction to the global practice. Mr. Scott has been with Ernst and Young for more than 25 years. Among his areas of focus are audit and advisory services, including structuring and servicing complex global and offshore funds. Mr. Scott received a B.Sc. in accounting from the University of Tampa. He is a member of the American Institute of Certified Public Accountants. He is currently a Board Member of the Cayman Islands Stock Exchange and a Member of the Cayman Islands National Security Council. He is a past President of the Cayman Islands Society of Professional Accountants. Mr. Scott was appointed an Officer of the Most Excellent Order of the British Empire (OBE) in June 2015. Mr. Scott served as Chairman from 1 August 2010 to 31 July 2015.